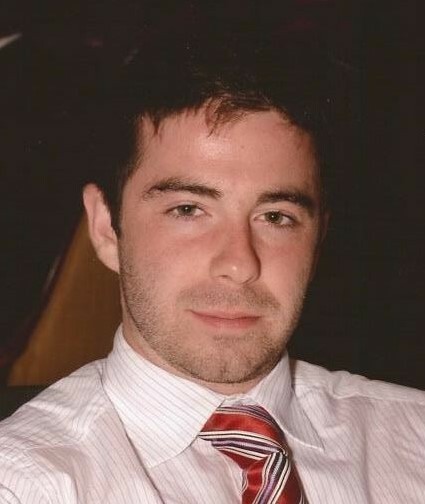 Obituary for Anthony Gaston Dalleggio, Jr. | Shore Point Funeral Home and Cremation Services, Inc.
Anthony Gaston Dalleggio, Jr., 29, of Holmdel, New Jersey, passed away suddenly on Saturday, October 27, 2018. He was born on May 13, 1989 in Long Branch, New Jersey and resided in Holmdel, New Jersey. Anthony was a 2007 graduate of Holmdel High School. Anthony is survived by his beloved parents, Anthony Dalleggio and Lama (Saab), his loving sister, Lea Harbul and her husband Mitchell Harbul, his dear grandmother, Souad Badine, his cherished nephew, Mitchell Robert Harbul. He also leaves behind his aunts, uncles, cousins, extended family and friends. Anthony will be deeply missed, but never forgotten. Family and friends are invited to visit on Thursday, November 1, 2018 from 5:00 PM to 9:00 PM at the Shore Point Funeral Home and Cremation Services, Inc., 3269 State Highway/Route 35 North, Hazlet, New Jersey 07730. A Mass of Christian Burial will be offered on Friday, November 2, 2018 at 10:30 AM at St. Catherine Roman Catholic Church, 108 Middletown Road, Holmdel, New Jersey 07733. Interment will follow at Fairview Cemetery, 456 State Highway/ Route 35, Middletown, New Jersey 07701. In lieu of flowers donations in loving memory of Anthony can be made to Catholic Relief Services (by calling (888) 277-7575 or online at https://support.crs.org/donate/memorial , if donating online, simply note it is in memorial of Anthony Dalleggio Jr.; you may check a box to notify the family of your donation) Our Lady of the Cedars Maronite Catholic Church at 11935 Bellfort Village Houston, TX 77031, St. Mary & St. Mercurius Coptic Church at 209 W 5th Ave Conshohocken, PA 19428, or Saint Catharine's R.C. Church at 108 Middletown Road, Holmdel, New Jersey 07733. For information, directions, or to send condolences to the family, please visit, www.shorepointfh.com.